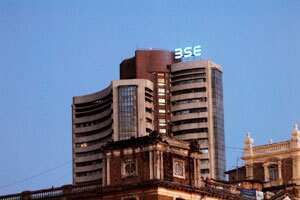 New Delhi: Shares pulled back from an early fall and ended little changed on Tuesday, helped by a rise in State Bank of India and software services bellwether Infosys. Jagannadham Thunuguntla, head of research at SMC Investments and Advisors, said hopes the bank may not have to make higher provisioning helped the stock. The bank is expected to report a 2.9% drop in quarterly profit, according to a Reuters poll done nearly a month ago. Rival ICICI Bank and leading mortgage firm Housing Development and Finance Corp fell on concerns the central bank will stick with its tight policy as inflation refused to budge. The Reserve Bank of India has raised rates 13 times over 19 months, the last in October, but headline inflation remain near double digits. Food inflation accelerated to a nine-month high in late October, belying hopes of a respite in overall price pressures in the near term and a quick turn in the central bank’s monetary stance. The main 30-share BSE index closed up 0.04%, or 6.92 points, at 17,569.53 points, after falling as much as 0.6% at one stage. Seventeen of its components declined as investors fretted over high inflation and faltering growth, which were seen as discouraging foreign portfolio inflows. Alex Mathews, head of research at Geojit BNP Paribas financial services, said investors were cautious due to euro zone debt crisis, slowing corporate earnings growth and rising fuel prices in the holiday-shortened trading this week. The market, which was closed on Monday for a local holiday, is shut on Thursday for another holiday. Oil and Natural Gas Corp initially rallied 4% after the state-run explorer beat market expectations with a 60% jump in quarterly profit. Profit-taking later trimmed the rise to 0.4%. The government’s inability to raise diesel prices quickly will keep investors worried about the widening fiscal deficit, said Ambareesh Baliga, chief operating officer at brokerage Way2Wealth. State-run oil retailers raised petrol prices on Friday, triggering demands for a rollback from many political parties. The government may now delay a planned diesel price hike for fear of stoking inflation and inviting public wrath in state elections next year. The main stock index is down 14.5% in the year to date, and the outlook remains hazy. In October, it had risen 7.6% thanks to foreign fund inflows of about $445.01 million. The 50-share NSE index ended up 0.1% at 5,289.35 points. In the broader market, there were almost four losers for every three gainers on total volume of about 458 million shares. Top software services exporter Tata Consultancy Services closed up 0.5% and rival Infosys gained 0.6% as a rising European market raised hopes for better business prospects for the export-driven sector. Pleasing corporate earnings lifted European shares as investors shrugged off euro zone debt crisis that threatened to engulf Italy. • Reliance Power rose 3.4% to Rs102.95 after it reported flat quarterly profit. • Energy explorer Cairn India gained 4.95% to Rs321.50 on hopes higher crude oil prices would boost earnings for the firm. • GlaxoSmithKline Pharma fell 3.2% to Rs2,045.25 after the Indian drugmaker’s September quarter net profit dropped 7.6%. • Jain Irrigation jumped 9.3% to Rs121.40 on better-than-expected operational performance in the second quarter and expectations of improved working capital ratios ahead. • SKS Microfinance fell 7.9% to Rs192.75 after the microlender posted a net loss in the September quarter.